I read the Witch Song series by Amber Argyle and I loved and enjoyed her writing so much that I knew that I would also enjoy Winter Queen just as much. 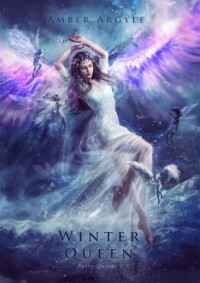 I was thrilled when I realised that Winter Queen released early, I couldn’t wait to read it. Having read it, I am a little sad because now I have to wait god knows how long till the second instalment of Fairy Queens comes out. In all probability, it’ll be sometime next year (that feels so far away) Anyway, on with the review.Since Winter Queen is the first instalment of the Fairy Queens series, a large part of the beginning could’ve been spent on establishing the time, circumstances and also the environment that the characters inhabited but Argyle handled that in a very deft manner, she interwove the world building with the narrative of the story so that the story never lagged or left the reader wondering what the characters were talking about. I really wanted to savour Winter Queen as the last 2 books I had picked up were not even close to satisfying. They were so dismal that I couldn’t even muster the will to write about how disappointing they were. Anyway, so I was thrilled that Winter Queen had snagged my interest from the very first word. I tried to go slow but that was simply not possible because of the pace of the book. It was very fast paced and also very very eventful. So often the first books in any series are slow because they have to lay the foundation the rest of the books will depend on but that’s not the case here. While we have wonderfully developed characters and world around them there is still a lot that we don’t know about. That’s not necessarily a problem because this book is very character driven and we see the world through Illeana’s eyes. I am sure we will find out more about this universe in the next book: Summer Queen.I thought of giving a brief summary of the book, but found that there are simply too many things that happen in Winter Queen. The publishers did a great job of giving just enough information to tantalize and yet not too little that would leave the potential reader uninterested. But here’s a very brief introduction. There are a number of clans that each has their own clan chief and clan mistress. These clans are in turn governed by the Council that settles disputes among the different clans. Illeana is the clan mistress of Shyle while her father is the clan chief. Her clan is attacked by the Tyrans and this where the story really takes off. Illeana is a strong and independent young woman and a leader among her clansmen. And that strength is apparent when she’s subjected to a lot of abuse at the hands of the Tyrans. But she didn’t lose her compassion even towards those who were far from kind towards her. This compassion stemmed from the fact that she was a healer. She also did not let the constant abuse break her spirit. Yet she was also someone that I truly rooted for. She had such grit that you couldn’t help but admire her and yet she also she was also headstrong, but then what good heroine worth her mettle isn’t? Rone was a great character. 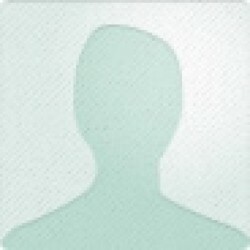 Though in the beginning, it was not immediately clear who he was, it soon became apparent. He was strong and noble and also a leader among his people and in a lot of ways, very similar to Illeana. What I loved most about their relationship was that it evolved naturally and though there were ups and downs and good amount of misunderstandings along the way, it made for a very engaging and believable love story. The other thing that I was happy about was that the back-and-forth between them did not dominate the narrative. Sure it lasted quite a while but then it was a new relationship for both and formed under very stressful circumstances so I decided to cut them some slack. That’s the other great thing about Argyle’s writing, she weaves in the romance very unobtrusively into the narrative, I love the subtlety. The same was true for Witch Song as well. But this doesn’t make the love between the characters any less intense, if anything; I think it enhances the intensity.We don’t really find out a lot about the other clans in Winter Queen but I’m sure they’ll get covered in Summer Queen. The only problem that I probably had was right at the end. In the last 2 or 3 chapters, I think pace of narrative went into major over drive. But that’s not a big deal. As far as the end is concerned, it was definitely not what I expected, yet it was very satisfying. I really enjoyed this book, now I have the amazing task of having to wait till next year for the release of Summer Queen (I checked, expected publication 2014) also I doubt that Illeana will be focus of that book, but should still be a fun read. If you’re looking for something that’s engaging and well written, then you’ll really enjoy Winter Queen!